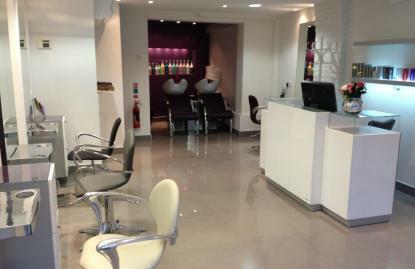 The most exciting salon In Essex area! I found this place couple of months ago and the name of this place used to be The Hair or The Hairbrand. Not sure about that. I had the best haircut I ever had with them premium stylist. Seriously. I used to go to Toni&Guy before, but it never been that nice before. She understood what I want and done it in the way I want it to be done. I tried to go there again next week, but then I found that they are closed for refurbish. So, I came back next week - everything looks so posh and clean now. Even better then it was. I had very nice haircut again. I recommended this place to my friends and family and they are very happy too. You must to see all the girls there - all of them are sooo beautiful and friendly. I'll come back again. And I would like to do the same for you. Sorry for my english, but I hope you get that.